A construction crew is finishing some new townhouses near the local post office. In the grass beyond the sidewalk, I noticed a shade of green that looked too green for this time of year. 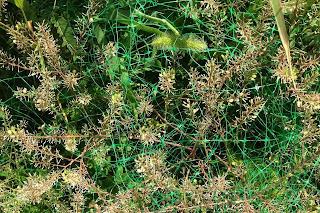 The cast-off plastic netting must have been lounging in this spot for quite a while, giving the weeds plenty of time to grown up through it. The delicate, overlapping layers of netting remind me of spider webs. 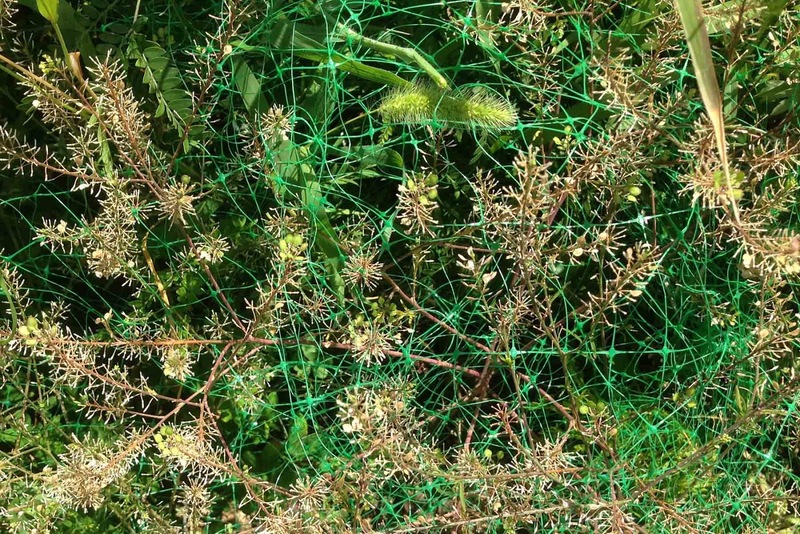 Plastic and plants are tangled up together, temporarily coexisting on this patch of earth. At the moment, I think the weeds are winning.